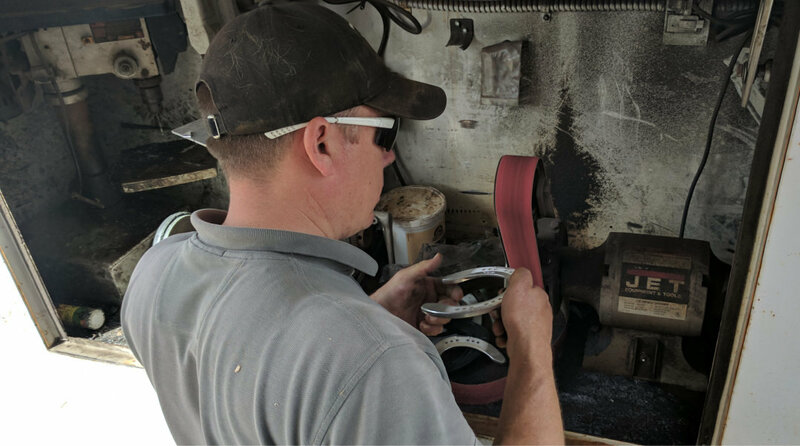 All successful show jumping riders and trainers will tell you that their farrier is a key partner in the ongoing health and performance of their horses. 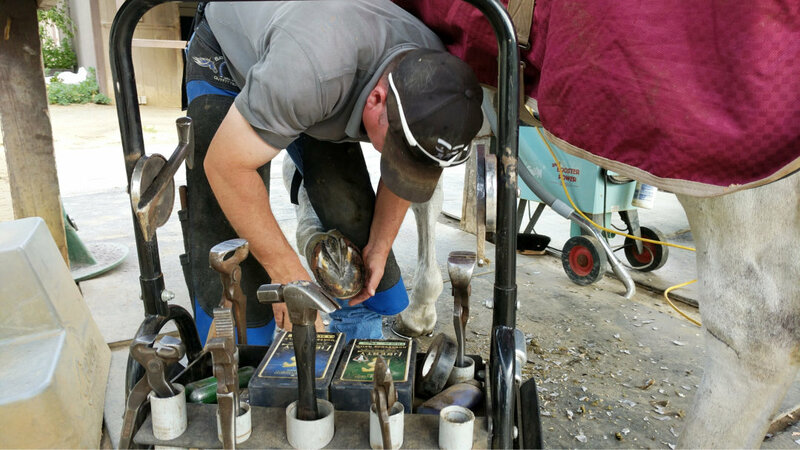 Recently, we had the opportunity to speak with Certified Journeyman Farrier, Josh Dittmer. As a farrier, what advice would you give someone who is just getting started in show jumping? 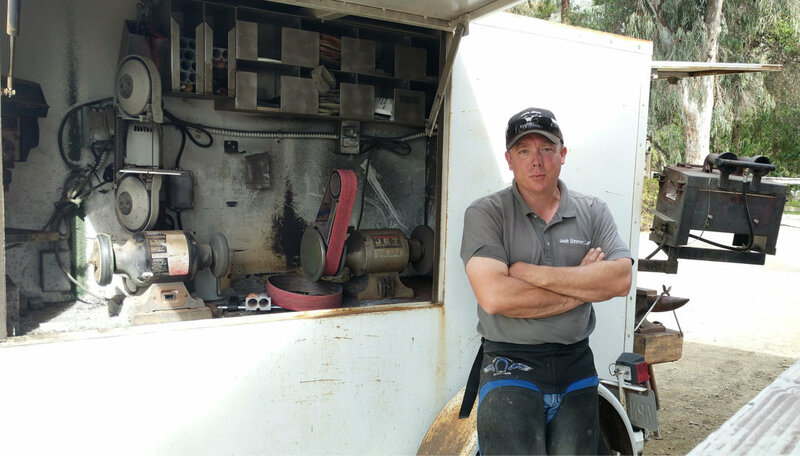 Working in conjunction with your vet and trainer, your farrier is a key member of a successful team. 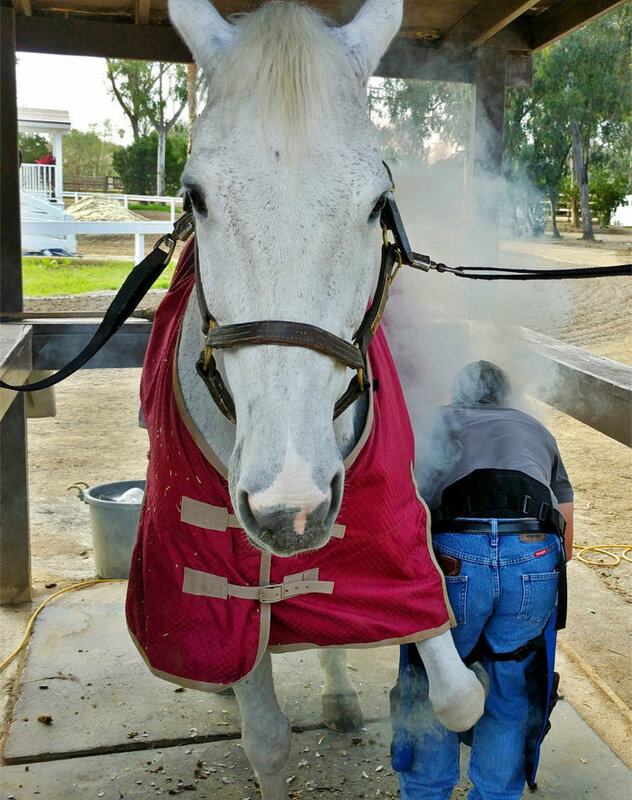 The Farrier will often see your horse more frequently than your vet. Communicate with him/her as much as you can. Any issues that you have – or think you have – talk about them right away. Don’t wait until the next time the farrier comes out to tell him your horse is lame. You want to get on top of injuries quickly to help speed recovery. Communication is the key. 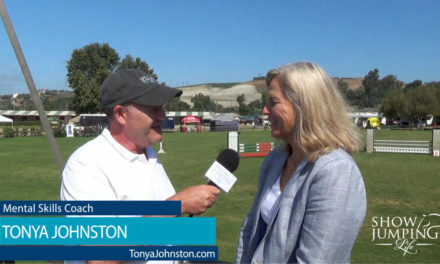 Are there specialized shoes for show jumping? 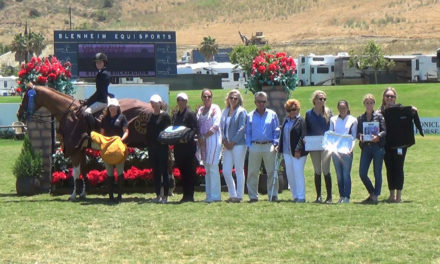 Yes, shoe selection for different disciplines is an important component for your horses success. The hoof structures from ponies to draft horse are all basically the same, you’re looking for level, flat and balanced. Show jumpers are athletes just like human athletes so shoes are an important factor and need to be done precisely. Ideally you want to work with a farrier who has experience working with show jumping horses or at least working with performance horses. Why Do some horses get pre-made shoes (aka keg shoes) and some are custom made? It could be for any number of reasons, including therapeutic. You can forge a lot more into a hand made shoe than you can forge into a machine-made shoe. Also, a well made, hand made shoe is going to fit better and last longer. There’s not a lot of grinding it off. With hand made shoes, you can dictate where your nail holes are. The same goes for clips. This is especially important in horses that may have a thin or damaged hoof wall. The more contact the shoe has with the hoof, the more secure it’s going to be. 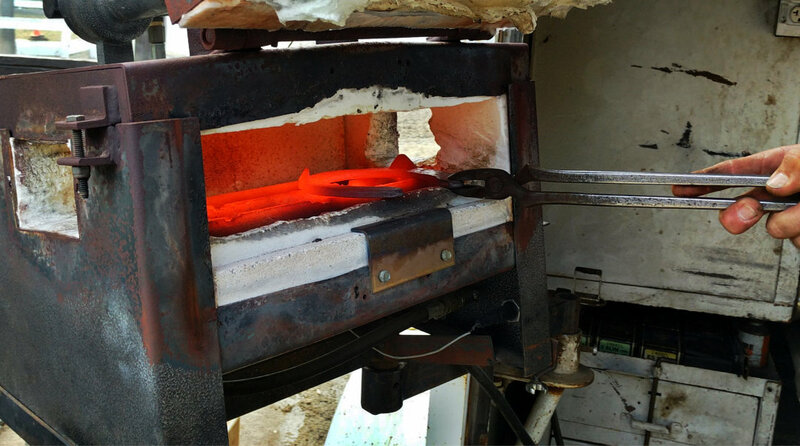 Hot shoeing where we heat the shoe in a forge and burn down a small amount of the hoof ensures a snug fit. Why do some horses have no shoes? The reality is, horses have a lot of traction barefoot. A lighter horse, ponies for example, often compete without shoes. 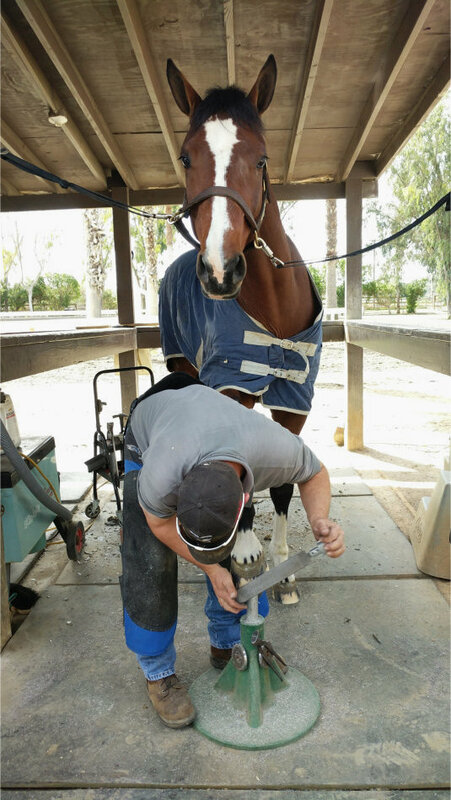 However, even if you choose not to have your horse or pony shod, you should still have your farrier come out on a regular basis to ensure the hooves are balanced and healthy. I know a trainer who was importing a horse from Europe and she shared the x-rays from the pre-purchase exam with her Farrier. Is that a good idea? Absolutely! 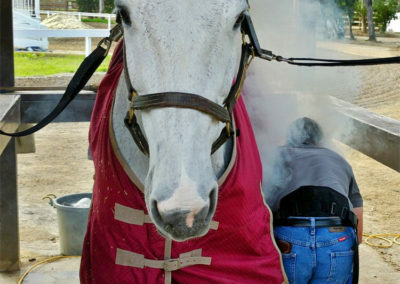 Your farrier is going to look at the x-rays and the horse, from a different perspective. 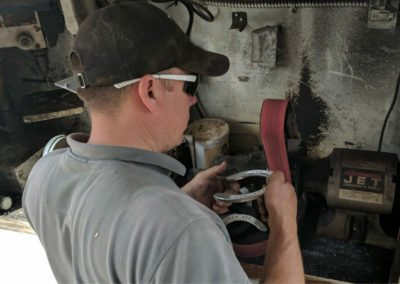 An experienced farrier who has been working with show jumping horses can often see indications if a horse has the potential to have a breakdown earlier rather than later. In this case, the farrier is looking mainly at conformation and generally how the foot and hoof wall looks. If you have poor quality hooves already, then there is probably something else going on. If the leg is crooked and you are planning on jumping high fences, the horse isn’t going to last as long in the show ring. Is certification required to be a farrier? Certification is not legally required in the US, Canada and most other countries. However, all farriers working in the UK must be legally certified. Fortunately, there are several voluntary organizations that provide some sort of certification and endorsements. The American Farriers Association (AFA) is the most well known. Along with a practical demonstration of shoeing a horse, some, like the AFA, require a written test covering such things as anatomy, physiology, pathology, and bio-mechanics. 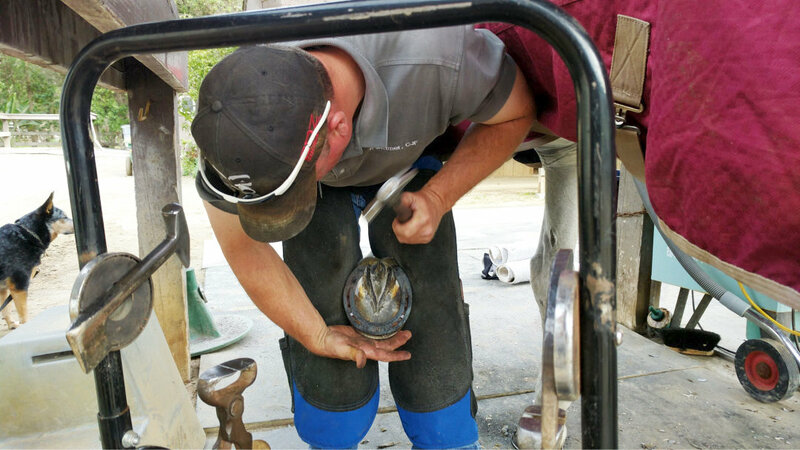 What are some things a new horse owner can do to ensure the best possible results once they have selected a professional farrier? 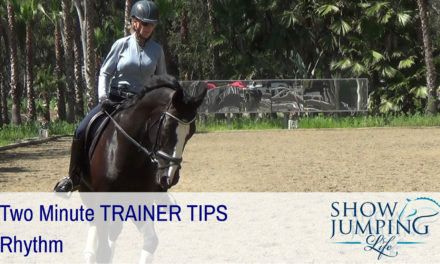 With a young horse, make sure he’s comfortable lifting his feet and can stand quietly. Pick up his feet daily. Hold them up. Especially in positions like the Farrier. A young horse may feel trapped. They’re a fight or flight animal and their predominant reaction is flight. While shoeing, you’ve taken away both of their defenses, so it’s important to get your horse comfortable with the process at a young age. Also, ensure your farrier has appropriate space and resources. That means a shade-covered, obstacle-free cross-tie and access to an electrical outlet and water. And please, make sure your horse is clean but not wet. Nobody wants to work underneath a 1,200 pound animal that is dripping on your head and back.